Ajoyendra Mukherjee (or Ajoy as he is better known) is Executive Vice President and Head of Global Human Resources. As TCS scales up beyond 300,000 professionals, Ajoy is playing a key role to ensure that the global human resources function is continually responding to the challenges and opportunities of a dynamic industry. As a member of the leadership team of the company, he has been driving initiatives to build a skilled and culturally-diverse global workforce. 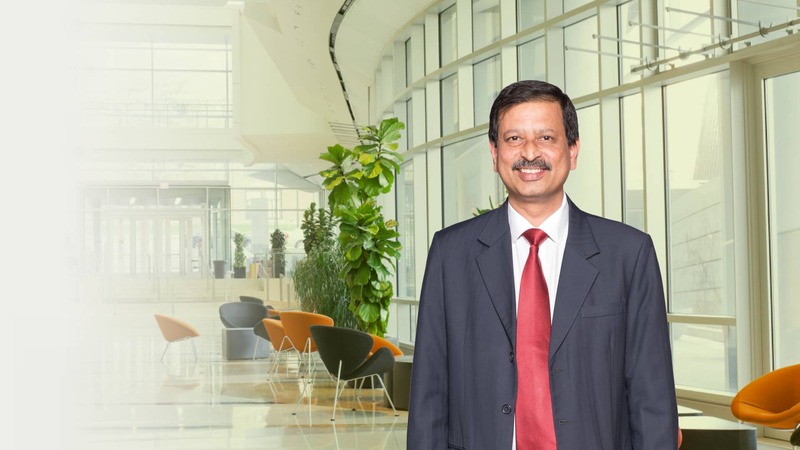 As TCS’ head of Global HR, Ajoy has been able to sustain the highest retention rates in the IT industry, besides creating a world-class training and learning organization. Ajoy joined TCS in 1980 after completing his BE (Honors) in Electrical & Electronics Engineering from BITS Pilani in India. In his 30-year career, he has worked in diverse roles and a variety of technical platforms and has led the delivery of a number of challenging programs for TCS’ customers worldwide. He has played a key role in several landmark projects in Banking and Financial Services, Utilities, Manufacturing and Government. He has held key leadership positions and headed TCS’ operations in Switzerland and South Africa and was also the Global head of Energy & Utilities Team. Prior to taking over the HR function in 2008, Ajoy was heading TCS’ eastern India operations. Ajoy has also been a key member of the corporate leadership team driving change and efficiency of TCS’ internal delivery processes. He is on the board of AP Online, a joint venture between TCS and Government of Andhra Pradesh. He is also a director in WEBEL board, a Government of West Bengal enterprise responsible for the development of Electronics & IT Industry in West Bengal. He is a member of IEEE and CSI (Computer Society of India). Ajoy lives in Kolkata, India with his wife and two daughters.